Such a lovely escape! Friendly staff, beautiful accomodation and views and delicious food and wine up at the winery. Thank you! 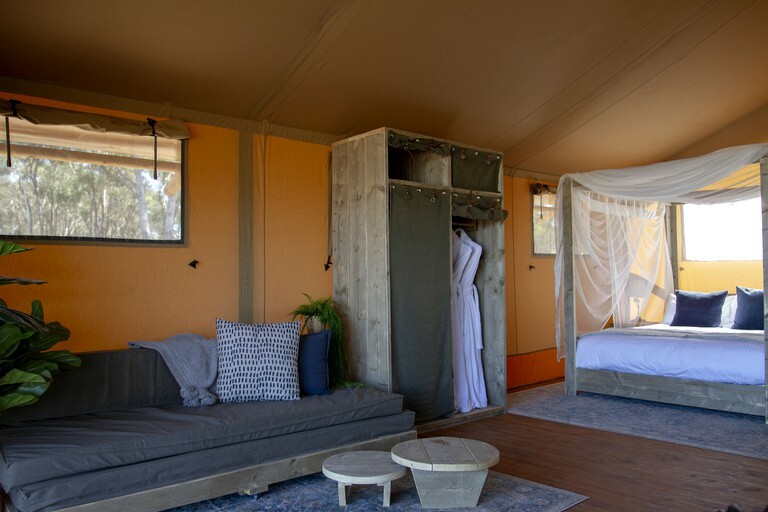 This luxury safari tent close to Lake Weerona can be found in the suburbs of Bendigo, Victoria. It is a fantastic accommodation for up to four guests or a small family looking to get closer to nature and have a relaxing place to stay in. 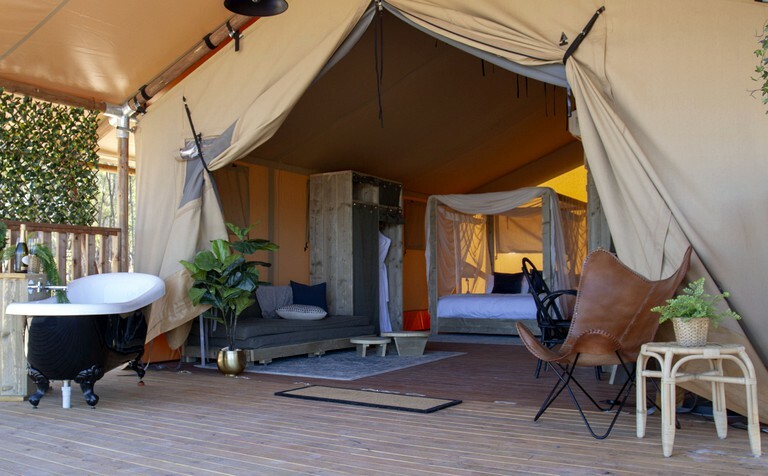 The tent has a queen-size bed, a sofa bed, a mini-fridge, a mini-bar, and coffee and tea facilities, in addition to a split-system air conditioning and heating unit. 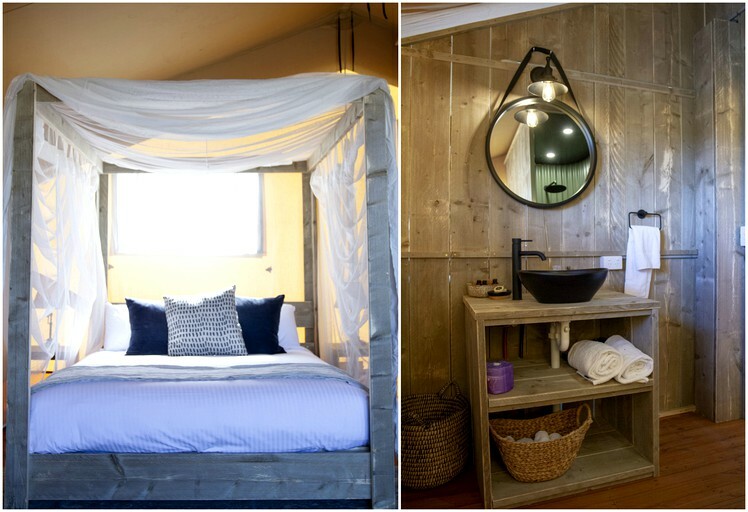 A clean, well-appointed ensuite bathroom with a toilet and a shower completes an amazing glamping experience. This luxury vacation rental has everything glampers are looking for to have the perfect nature getaway experience. The accommodation lies in a vast winery estate that offers stunning sceneries and impeccable amenities. Towels, linens, robes, slippers, and other bathroom essentials are all supplied at no extra cost. Each living space is designed to make guests feel closer to nature without the usual hassles of outdoor living. 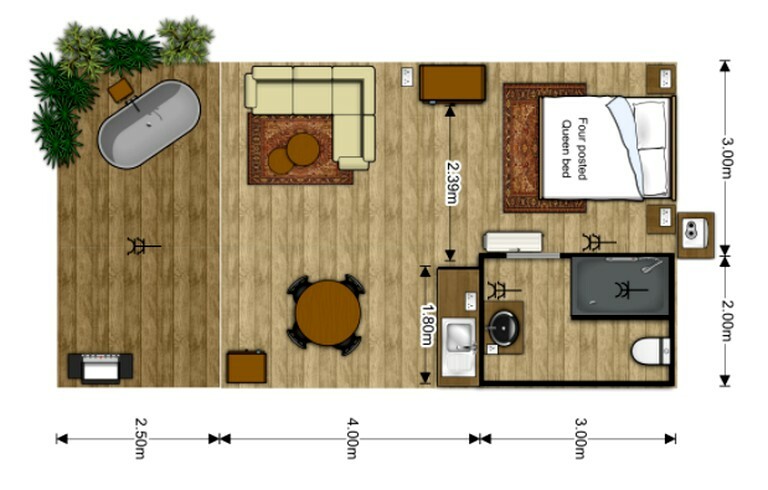 The rooms and big tent have ensuite bathrooms while the smaller ones share a well-appointed bathroom and shower area. 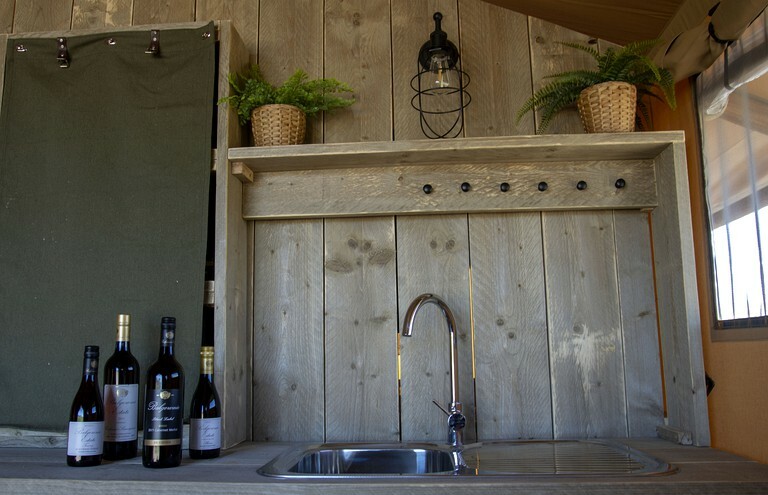 Wi-Fi is also available and most glamping sites are equipped with television sets for entertainment. The highlight of each unit is the patio where guests can enjoy a meal or a drink while gazing at the breathtaking views of the vineyard and the beautiful landscape surrounding the estate. The vineyard on which the rentals can be found offers a variety of services and packages including delicious breakfasts and tasty dining options. The wine onsite is a special treat for visitors and those who enjoy a fine bouquet should be sure to try out the various vintages on offer. 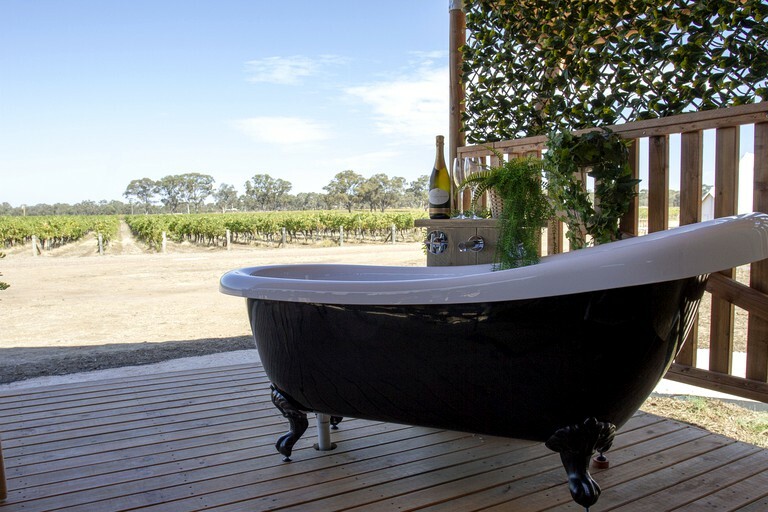 About two hours away from the coastal city of Melbourne, Australia, this luxury vacation rental is nestled in a stunning winery deep in the suburbs of Maiden Gully, Victoria. The historic gold mining city of Bendigo is only 15 minutes away from this elegant getaway where glampers can spend a day in Lake Weerona Park. Hiking, biking, and rowing are some of the fun activities to do in the lovely lakeside park. Greater Bendigo National Park is only 20 minutes from the property where guests can find a protected forest area of Box-Ironbark trees. 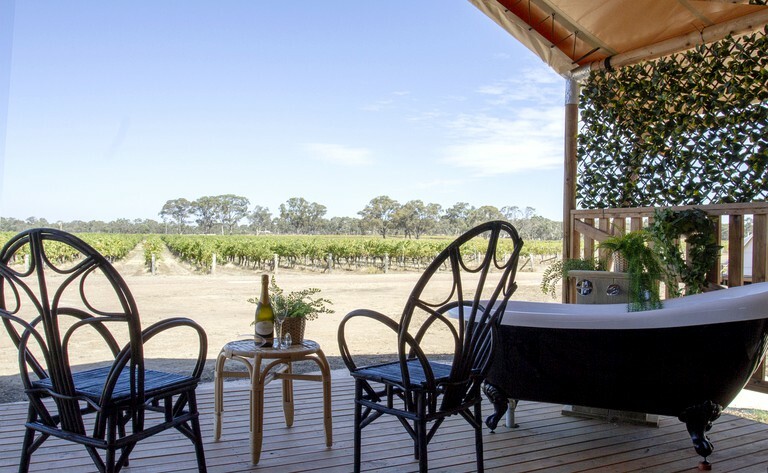 This glamping property sits in a beautiful vineyard overlooking a creek which makes for breathtaking scenery for guests who love leisure walks and exploring the surrounding area. Lake Weerona Park is a nice spot in Bendigo City to enjoy the outdoors. It sits by the stunning Lake Weerona where visitors can try rowing and spend hours hiking and biking on the park trails. For those who seek adventure, Greater Bendigo National Park offers a vast jungle of Box-Ironbark trees and various other kinds of plants. Bushwalking, birdwatching, hiking, horseback riding, and camping are some of the things frequent visitors love to do here. There are also trails wide enough to let in regular size cars making driving through the scenic parts of the woods possible.